Enter every single day for your best chance to win! Each day we will publish the contest post at 12 noon and then randomly select a winner from the entries on our social media pages (Facebook, Twitter, or Instagram) the next morning. 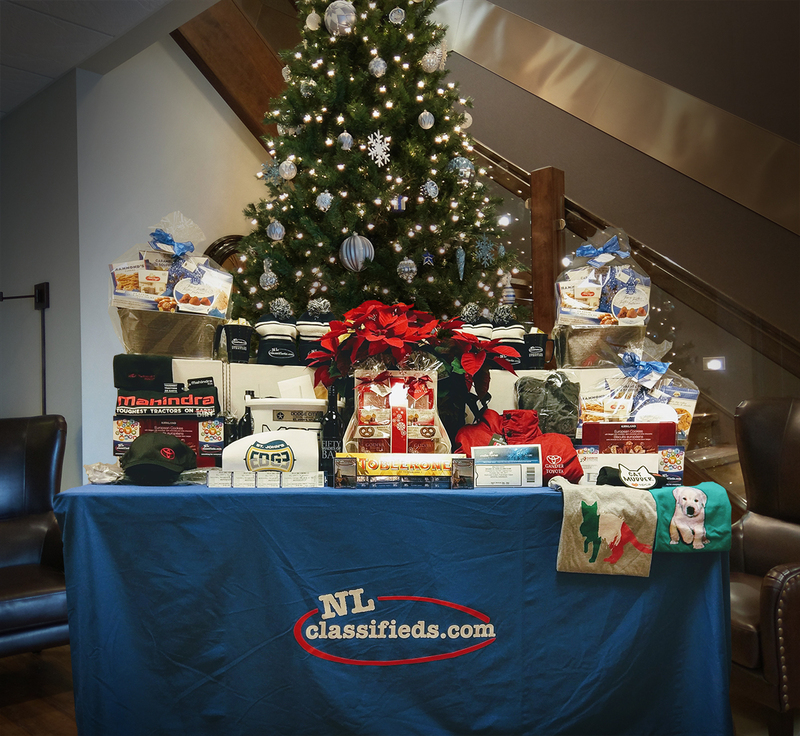 The winner will be announced the morning after the post was published (i.e. 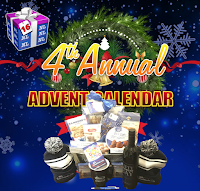 Day 1 winner announced on the morning of Day 2 and so on). 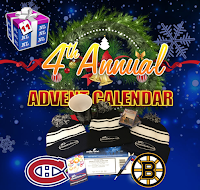 This page is the only place you can see each daily prize and hopefully see your name next to a great prize! 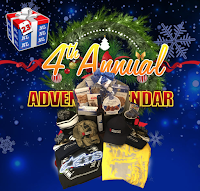 We will continue to update the page each day as more prizes are drawn, so make sure you come back early and often! 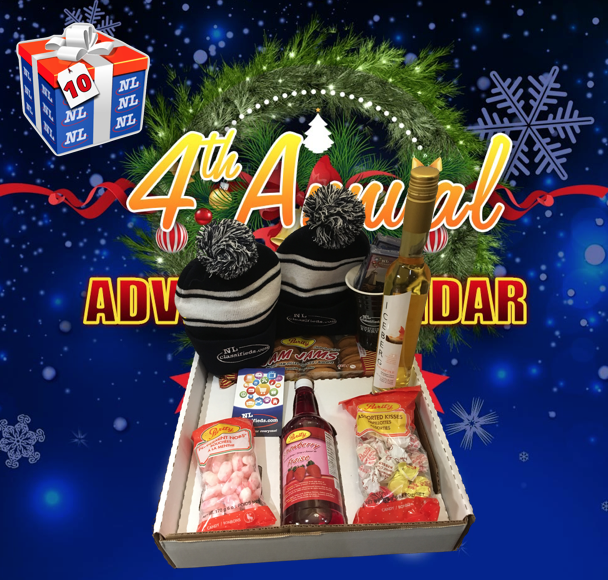 For more information on the the 4th Annual Advent Calendar, please click here. 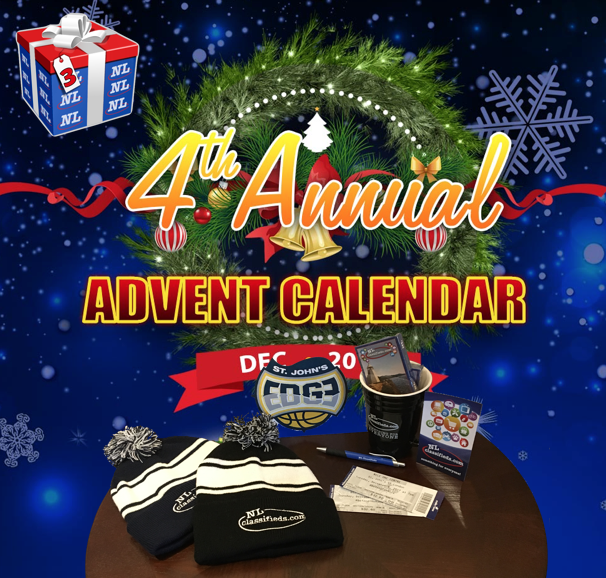 Dec 1: Shirley Jones - St. John's Edge court side tickets, NL Classifieds pen, magnet, 2 sets of playing cards, 2 winter toques, coffee mug. Dec 2: Doug Horwood - Christmas poinsettia, NL Classifieds pen, magnet, 2 sets of playing cards, 3 winter toques, coffee mug. 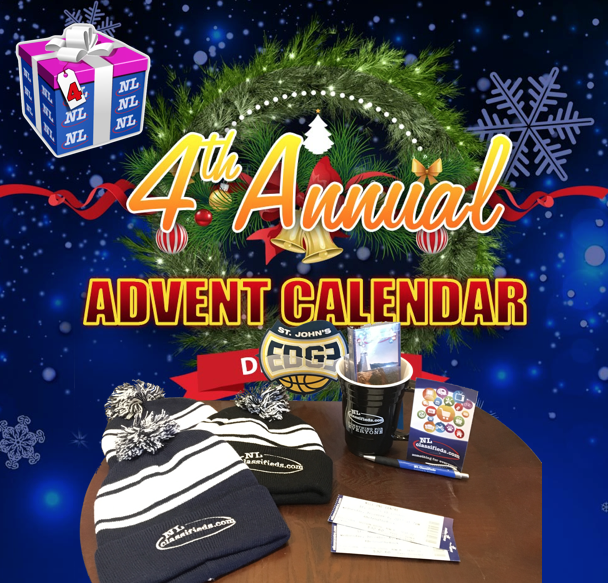 Dec 3: Joan Greene - St. John's Edge court side tickets, NL Classifieds pen, magnet, 2 sets of playing cards, 2 winter toques, coffee mug. 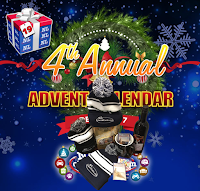 Dec 4: Lisa Lynch - Auk Island Wine, NL Classifieds pen, magnet, 2 sets of playing cards, 3 winter toques, coffee mug. 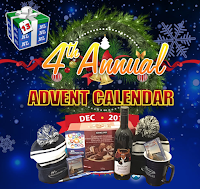 Dec 5: LeighAnn Leblanc - Auk Island Wine, NL Classifieds pen, magnet, 2 sets of playing cards, 3 winter toques, coffee mug, European Cookies. 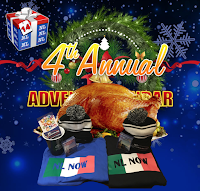 Dec 6: Leanne Cake - SPCA St. John's leggings, 2 shirts & Cat Mudder magnet, Christmas Wreath, NL Classifieds pen, magnet, 2 sets of playing cards, 2 winter toques, coffee mug. 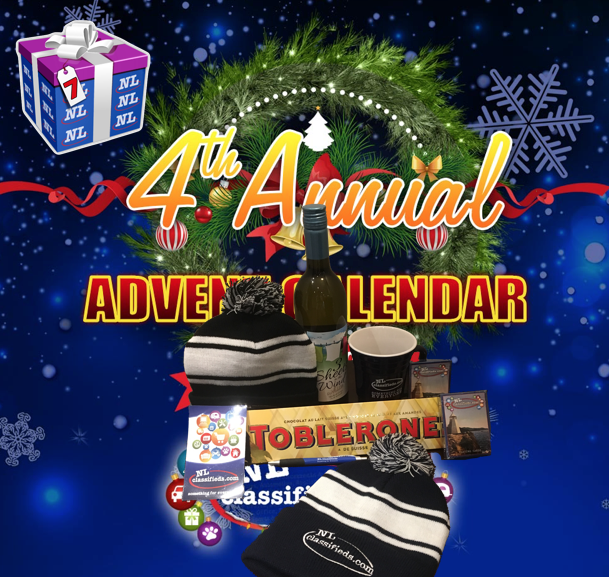 Dec 7: Greg Smith - Giant Toblerone, Auk Island Wine, NL Classifieds pen, magnet, 2 sets of playing cards, 2 winter toques, coffee mug. 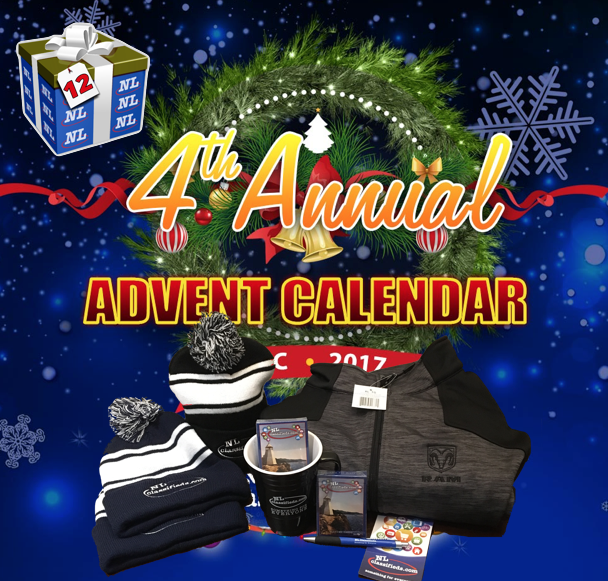 Dec 8: Ian Barrett - Rainbow International Restoration $100 Gift Certificate, Western Toyota Hat & Hoodie, NL Classifieds pen, magnet, 2 sets of playing cards, 3 winter toques, coffee mug. 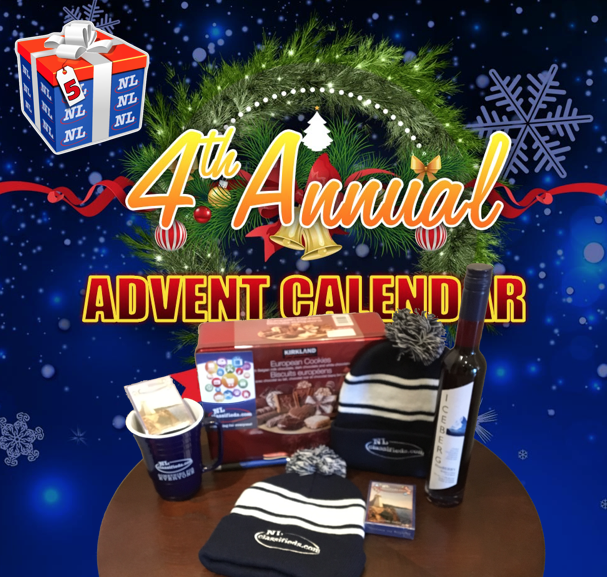 Dec 9: Melissa Hefford - DEL Equipment Package, Auk Island Wine, NL Classifieds pen, magnet, 2 sets of playing cards, 2 winter toques, coffee mug. 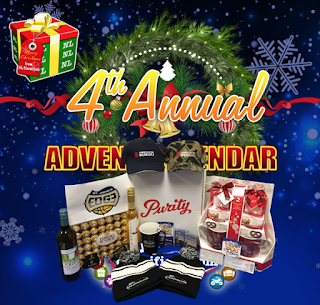 Dec 10: Michelle Delaney - Purity Factories Package, Auk Island Wine, NL Classifieds pen, magnet, 2 sets of playing cards, 2 winter toques, coffee mug. 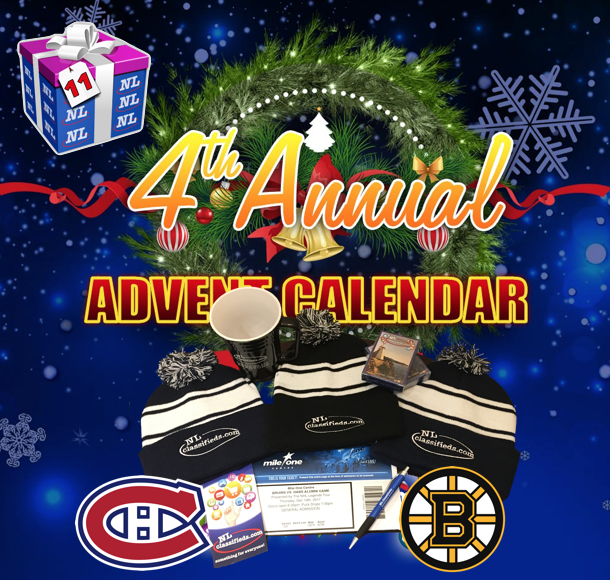 Dec 11: Kyle Robinson - NHL Alumni Montreal Canadiens vs Boston Bruins Tickets, NL Classifieds pen, magnet, 2 sets of playing cards, 3 winter toques, coffee mug. Dec 12: Jessika Gosse - Lakeview Chrysler RAM Jacket, NL Classifieds pen, magnet, 2 sets of playing cards, 3 winter toques, coffee mug. Dec 13: Linda Williams - Auk Island Wine, European Cookies, NL Classifieds pen, magnet, 2 sets of playing cards, 2 winter toques, coffee mug. Dec 14: Danielle Jessica - Christmas Turkey Dinner, NL Now Package, NL Classifieds pen, magnet, 2 sets of playing cards, 4 winter toques, coffee mug. Dec 15: Sheldon Wicks - Auk Island Wine, Purity Factories Box, NL Classifieds pen, magnet, 2 sets of playing cards, 3 winter toques, coffee mug. Day 16: Raymond Critchley - Auk Island Wine, Decorative Goodies Planter, NL Classifieds pen, magnet, 2 sets of playing cards, 2 winter toques, coffee mug. 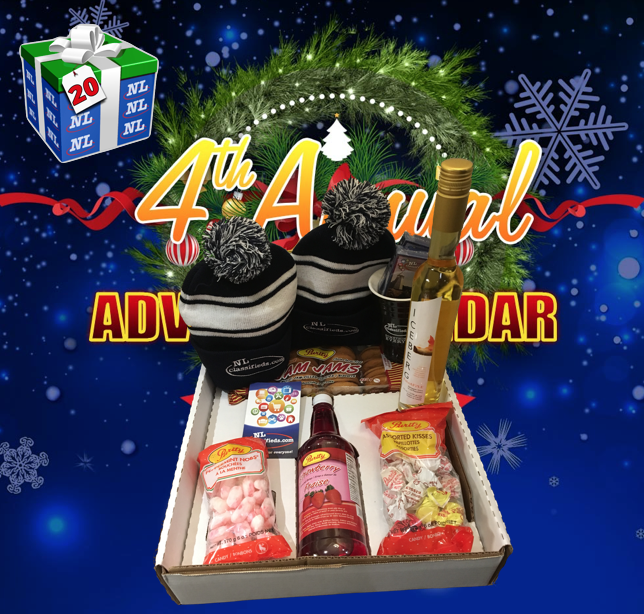 Dec 17: Lori Ann Lewis - Lindor Chocolate Box, Auk Island Wine, NL Classifieds pen, magnet, 2 sets of playing cards, 4 winter toques, coffee mug. 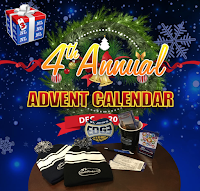 Dec 18: Ryan J - Dodge City Royal Garage Gift Basket including $100 Gift Certificate, Belgian Luxury Biscuits, NL Classifieds pen, magnet, 2 sets of playing cards, 4 winter toques, coffee mug. Dec 19: Lindor Christmas Chocolates, Auk Island Wine, NL Classifieds pen, magnet, 2 sets of playing cards, 3 winter toques, coffee mug. 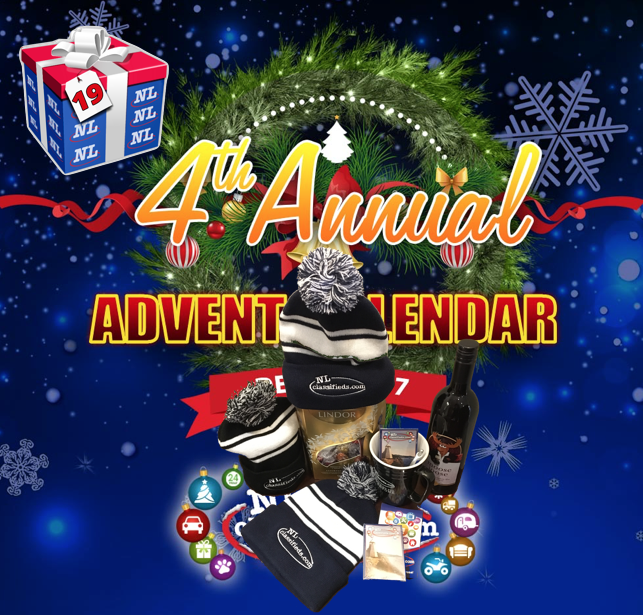 Dec 20: Brianna Mulcahy - Purity Factories Package, Auk Island Wine, NL Classifieds pen, magnet, 2 sets of playing cards, 4 winter toques, coffee mug. 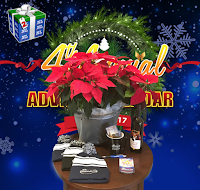 Dec 21: Heather L Reid - Auk Island Wine, Decorative Goodies Planter, NL Classifieds pen, magnet, 2 sets of playing cards, 3 winter toques, coffee mug. Dec 22: Matthew Richards - Gander Toyota Stormtech Winter Jacket, Lunch Bag, Water Bottle, Baseball hats, Auk Island wine, Belgian Luxury Biscuits, NL Classifieds pen, magnet, 2 sets of playing cards, 3 winter toques, coffee mug. 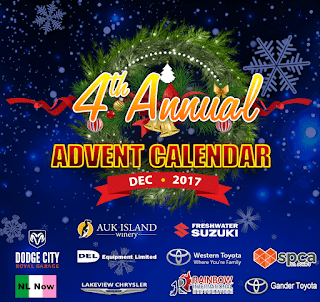 Dec 23: Allison Waddleton - Freshwater Suzuki t-shirts, baseball hats & keychains, Auk Island Wine, Decorative Goodies Planter, NL Classifieds pen, magnet, 2 sets of playing cards, 3 winter toques, coffee mug. 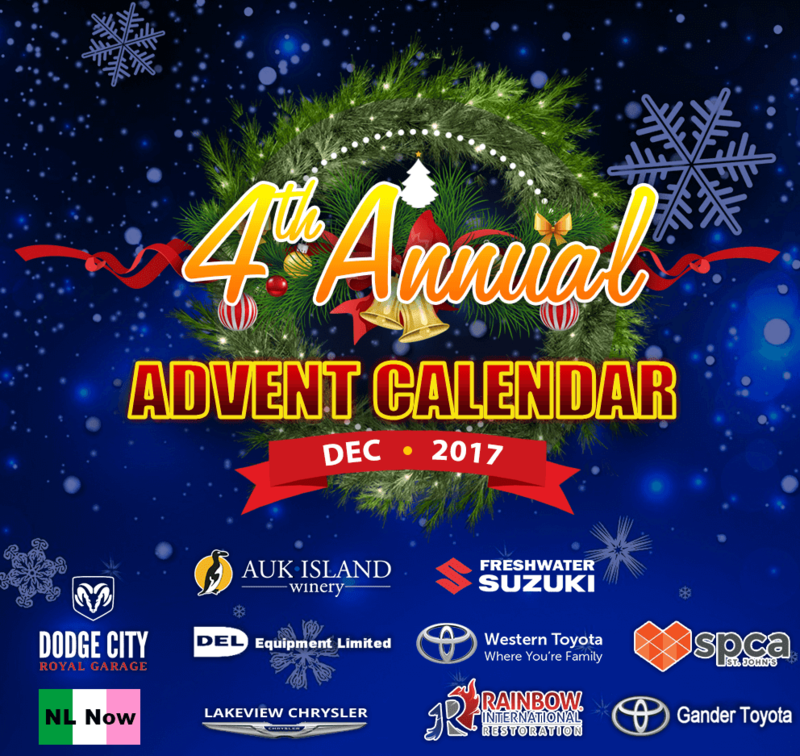 Dec 24/25: Tracey Carolanne - Freshwater Suzuki baseball hats, keychains, St. John's Edge Court-side tickets (Jan 9th), Purity Factories Package, Godiva Chocolates, Auk Island Wine, NL Classifieds pen, magnet, 4 sets of playing cards, 4 winter toques, coffee mug. 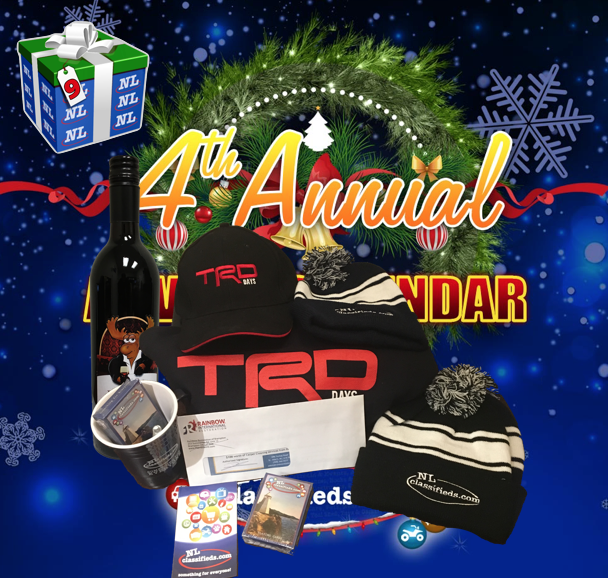 For a full list of 2017 prizes and partners, click here. 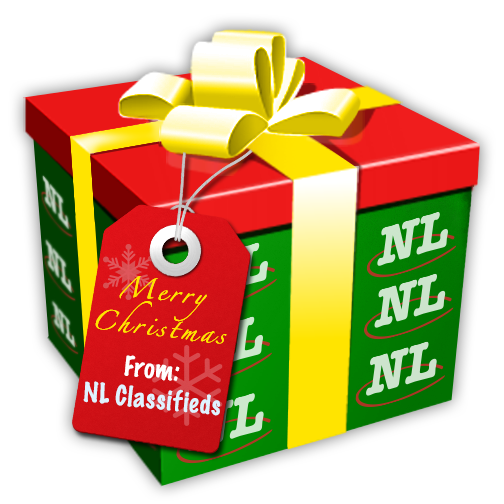 Winners are required to message NL Classifieds through one of the three social media channels running the contest (Facebook, Twitter, Instagram) to claim their prize and arrange collection of their prize. 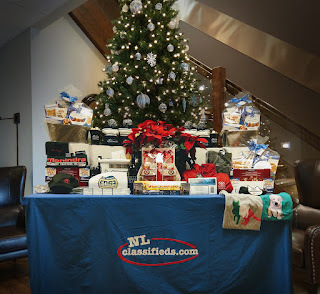 Prizes are not required to be collected on the same day, but must be collected within 30 days of winning. 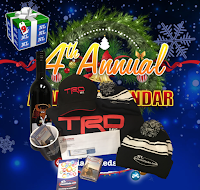 Some prizes are date specific (i.e. 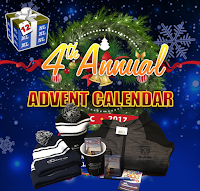 event tickets) and will become void after the event date. 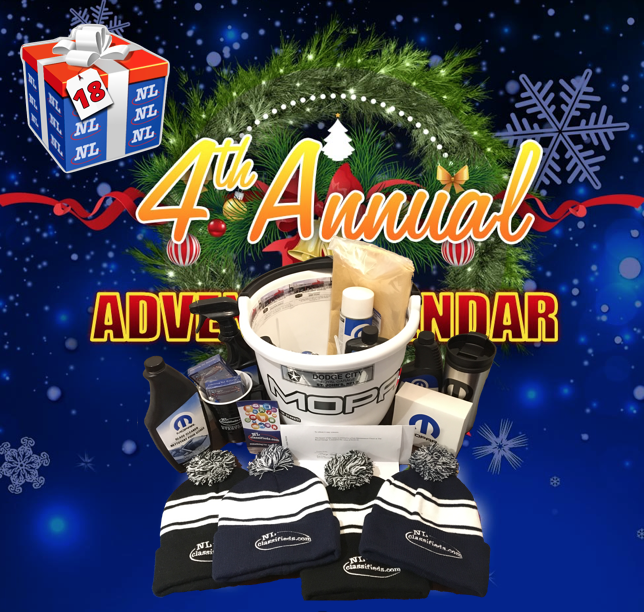 Most importantly, HAVE FUN! 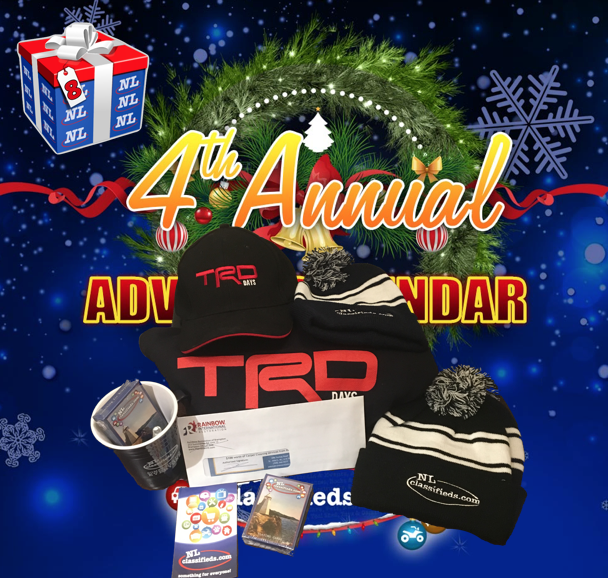 We look forward to 25 days of giveaways and hope you have as much fun as we do each year!